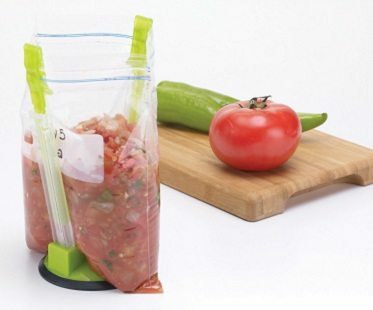 Storing food batches and leftovers just got easier with this hands-free food bag holder! There'll be no more mess on your worktops or floors when you fill your bags using this handy helper! It features a non-slip base to keep it in place and adjustable arms and clips to fit all sizes of bags.